These maps posted yesterday as part of a longer story over at the Washington Post. A decision from the Supreme Court is expected in June. 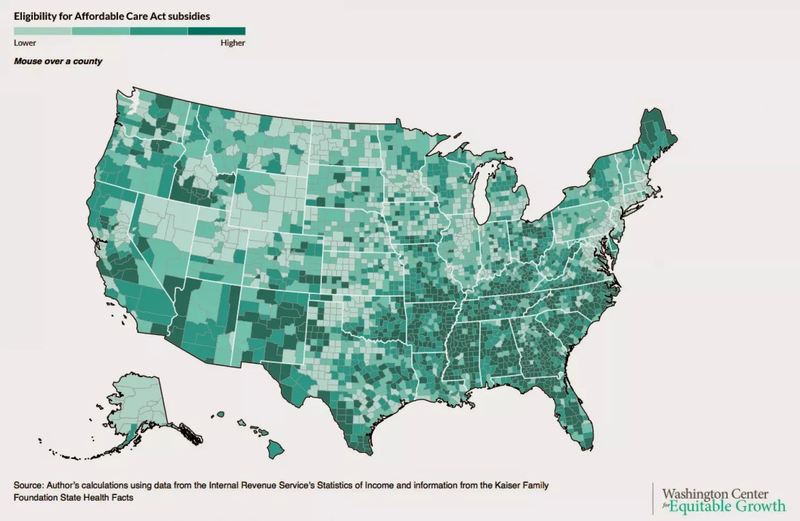 These maps show what that decision could mean to persons presently receiving subsidies in a fashion that appears to be outside of the statutory language of PPACA. 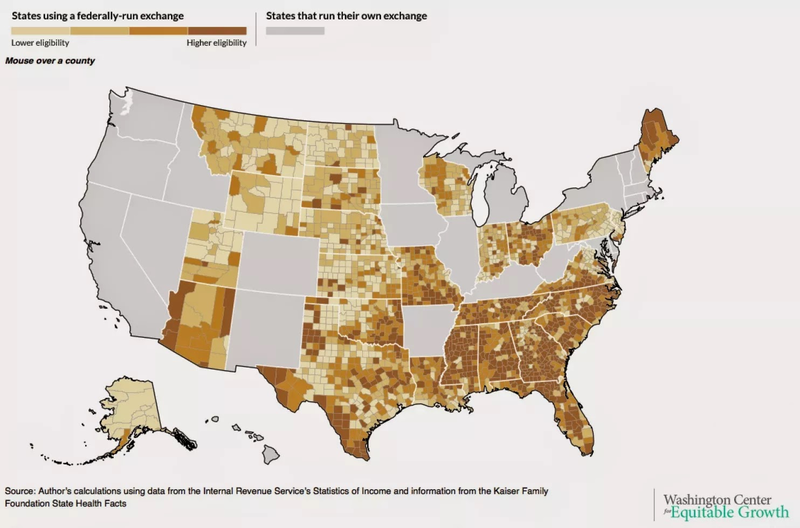 This first map shows the people currently eligible for government tax dollars to help them buy Obamacare plans. The darkest areas have the highest proportion of people eligible to receive tax handouts (often over one-third) while the lightest counties have the lowest proportion. And this second map shows the folks who could lose that handout if the Supreme Court rules that the IRS did, in fact, erroneously interpret "state" to mean "state or federal".